1. Tell us a little bit about yourself and where you come from. Paint a picture of yourself. My name is Laura. I am 22 and from Glasgow but currently living and studying in Edinburgh. I am a masters student studying Environmental Protection and Management. I love the outdoors and everything natural, this combined with my academia resulted in me starting my environmental blog ‘LessWasteLaura’. Trying to advocate for and educate about living environmentally. 2. Your Instagram handle is @lesswastelaura. What’s the story behind choosing that name? 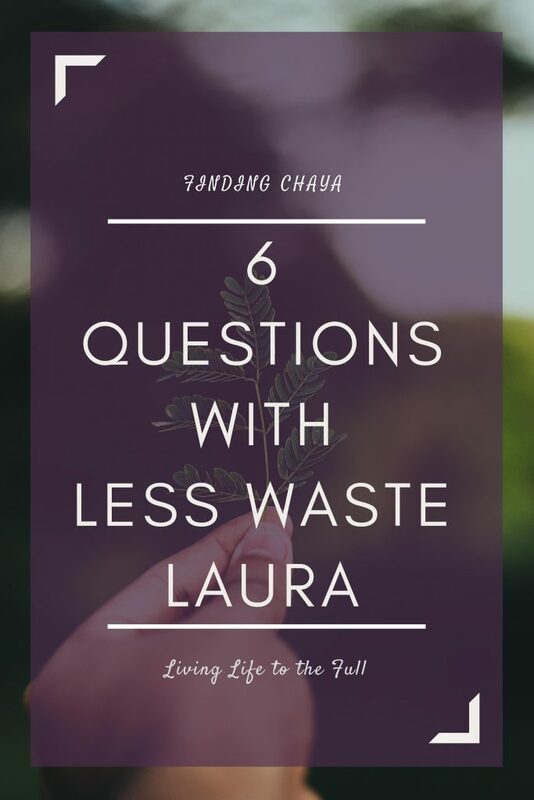 The story behind the name was after seeing the lifestyle ‘zero waste living’. 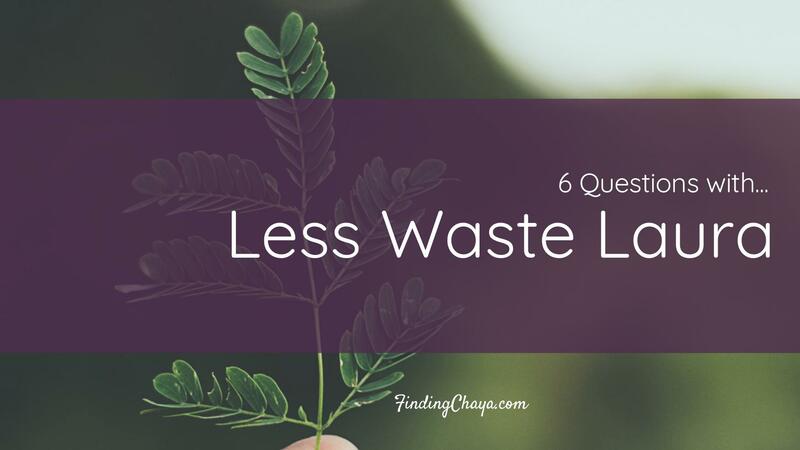 I think this is the ‘goal/aim’ and I wanted to change my life to live with ‘less waste’. 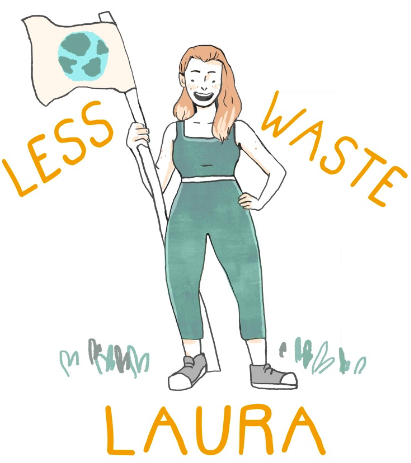 I think the term zero waste can put people off, but less waste is something everyone can achieve! 3. You are a Christian and choosing to live in a way that is more beneficial to the environment. How do these two parts of your life marry up together? On the first page of the bible God entrusts us to be stewards of this earth. A gift he gave to us, and trusted us to look after. This is the primary basis for living the way I do. Second to that is understanding the inherent link between our lifestyles, the environment and social justice. Our lifestyles that negatively impact on the environment (waste and climate change) are actually impacting on those must vulnerable across the world. We are told to love our neighbour (near and far) and this is how I do that. 4. You posted about your church getting branded keep cups on Instagram back in January 2019. Why is this a preferable option for today and what about the china mugs we used to use in church? The KeepCups were the best option for my church after a bit of discussion around cleaning rota’s etc. This was frustrating as ultimately the best option would be to have china mugs in the church for all to use. This was the happy medium. We got KeepCups for all members to purchase (all money went to the charity Tearfund), and we have some remaining on sale for visitors or other members who have not got them yet. We also have a small number of china mugs which are on offer to people who have forgotten theirs, or for visitors. 5. Whether it is watching television, reading magazines and newspapers, or just talking to our parents, the world can feel pretty dire. What advice do you have to Christians in their 20s and 30s today who are feeling deflated before they’ve even consider how they can make a change? The most important thing about staying positive is to surround yourself with the good news. Whether thats in the news, social media or tv, find programmes and stories of good news. There is a lot of bad press and bad stories but there is also a lot of good change. Also looking at your own life and seeing how much impact you can make is important in keeping upbeat. 6. Finding Chaya wants Christian women to both live a full life and be willing to step up for Christ. What advice would you give to them about stepping up and into your passions and/or vocation? Really for me it was wrestling with what gifts God has given me. It can be hard to feel deflated when you haven’t got your groove, or maybe comparing yourself to others. However we are all carefully and lovingly made with a purpose and plan. I know God has placed this issue in my heart and I want to glorify Him by using my life as a living sacrifice to do that! I want people to search for what God has laid on their heart, but also find their gifts and use them for Gods glory. We do all things through Him, so feel empowered and know you are not alone! Be the salt and light in your passions or vocations and show the vast amount of ways we can live a Godly life!